Congratulations to all our the players who receive scholarships while being apart of Jay's All-Stars Baseball Organization College Workouts and Teams. We wish you well in all your endeavors. Make us proud! 19 Marcus Hodge 3B R/R 5-11 200 Fr. 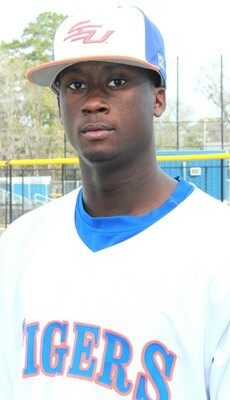 Rumeal is an ultra-talented 6'4" outfielder with great range, a plus arm, and a powerful swing. Rumeal is a sophomore from Lithonia, Georgia and Stephenson High School. He played his summer baseball for the Atlanta Jaguars and Coach Anderson. 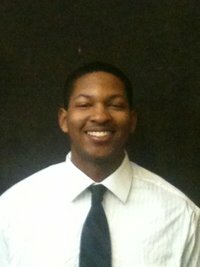 Rumeal, a Sports Medicine Major, is the son of Ronald Robinson and Addie Davis. 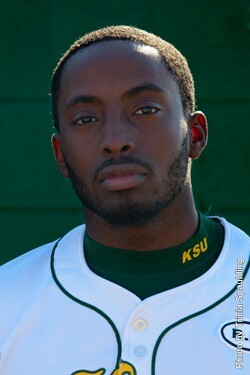 Rumeal's best game came in an 11-0 victory over Williams Baptist College when he went 3 for 3 with 3 runs, a double, a triple, and an RBI.